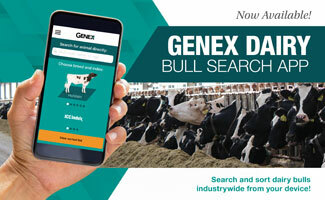 Searching and sorting dairy bulls from across the industry just got easier with the release of a new app from GENEX. The GENEX Dairy Bull Search app - available for iOS, Android and Windows devices – includes genetic and pedigree data on over 40,000 bulls. 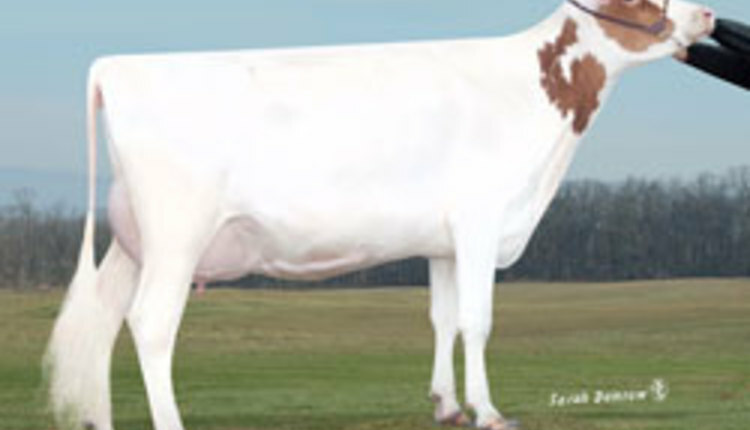 The app enables producers to search for Holstein, Jersey, Brown Swiss, Guernsey, Ayrshire or Milking Shorthorn bulls by entering their short name, NAAB code or registration number. Look for the Bull Search app in an app store today. After the initial download, an internet connection is not required for searching or sorting bulls. For more information, contact a local GENEX representative, visit http://genex.crinet.com or call 888.333.1783. GENEX is the trusted provider of world-class animal genetics, progressive reproductive solutions, value-added products and innovative services. As a cooperative business, GENEX serves members and customers - dairy and beef cattle producers - across the globe. GENEX is part of Cooperative Resources International. For more information, please visit http://genex.crinet.com.